6.30-7.30 Simon shows makers round his workshop and gallery and discusses work in progress. 7.30-8.30 Marketing discussion plus what makers want from the Mill – with light snacks and refreshments. 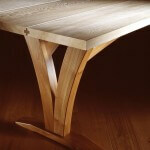 Simon Thomas Pirie is a renowned furniture designer and maker whose workshops have been established in mid Dorset since 1998. 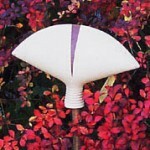 He has also been a board member of Walford Mill since 2000 and heavily involved with Dorset Art Weeks since 2005. As part the ‘Insight – Craft Dialogues’ Simon will be hosting an evening in his workshop and gallery space near Briantspuddle. The session will include a tour of the workshops, seeing his current work in progress, and a brief presentation of his past work. The discussion part of the evening will focus on marketing, how and where to sell work, the practical issues of survival for makers, plus what makers want and expect from Walford Mill. Jonathan Garratt will be hosting a walk/talk discussion tour of his pottery 2 miles east of Cranborne towards Alderholt, for anyone interested in his processes, questions of marketing and how to signify crafts/build links with the general public. Jonathan has 30 years’ experience of retailing from the door and of a wide variety of “show” experiences to pass on to others, involving preparation, show skills, pricing and presentation. 6.30-7.30 Debbie and Kate show/discuss their work- makers can spend half an hour with each. 7.30-8.30 Being an on-site maker and interacting with the public discussion, plus what makers want from the Mill- in the gallery with refreshments and light snacks. An opportunity for an informal discussion with Kathryn Arbon who has been resident jeweller at Walford Mill for five years. Having previously been at Walford mill in 1998 for three years. Topics to be touched on will be the advantages of having a studio that is open to the public. Forming a relationship with the customer, and the importance of subject knowledge at point of sale. The need to be adaptable in a competitive field such as jewellery design, considering ways to survive the quieter times, will also be discussed. 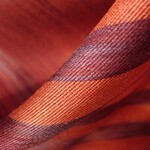 Join Debby Kirby, resident silk weaver at Walford Mill since it opened as a craft gallery. This will be an informal and informative chat about how to successfully work, sell and market direct to the public. An insight in to engaging directly with customers on a daily basis, and discussing how to sell the story behind the work. Views and ideas from previous evenings can be fed into the discussions. Then a summary shared with all after the events. These events replace a similar cancelled series of discussions from last September.